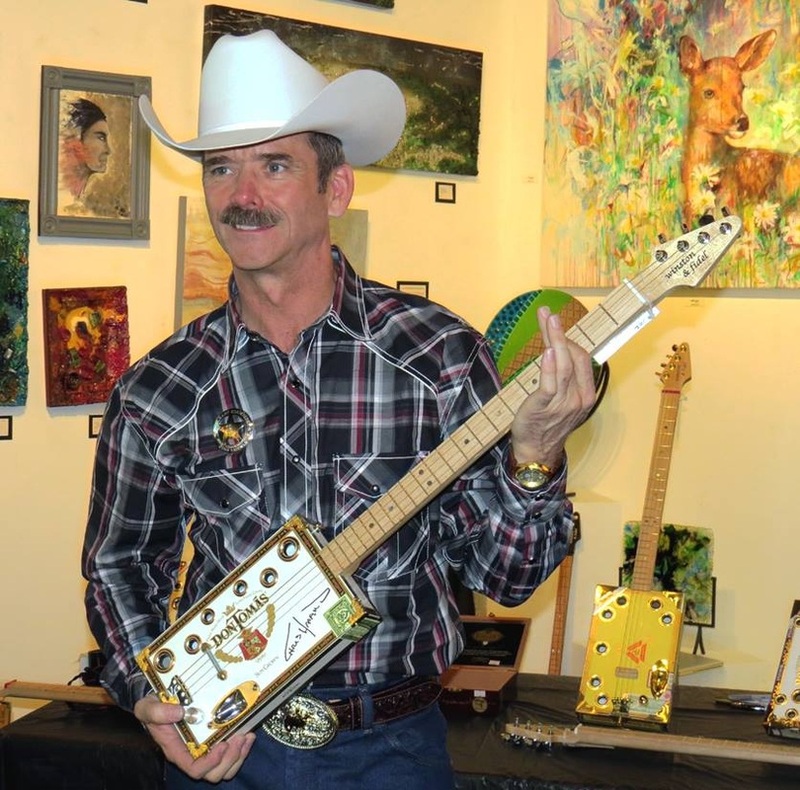 All cigar box guitars have a 25.5 inch nut-to-bridge measurement, incorporating 21 frets. Please keep in mind that all guitars are created from recycled cigar boxes, so there may be handling-induced flaws which are beyond my control. Custom soft-sided padded gig bags are also available. This is the guitar chosen by Colonel Chris Hadfield that was auctioned to raise money for flood relief here in Calgary. and for signing the guitar for the auction! ​"Like" us on Facebook at "Winston and Fidel Cigar Box Guitars"
It's not often I come across these deep Don Tomàs boxes.